This one just sounded interesting. I enjoyed Karen Traviss’ militant ecological aliens in the Wess’har Wars series and therefore I thought this could be something for me. 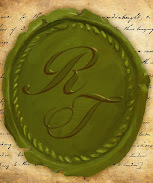 It is also Ray Harper's debut novel and I am always looking for new authors. The author himself sounded interesting: Ray Harper, originally from Worcestershire, is Senior Lecturer at the University of Bedfordshire in Luton, lecturing in biochemistry, biotechnology, computer applications, genetics and molecular biology. He has carried out research and consultancy work in adipose tissue metabolism, cell immobilisation and the development of World Wide Web-based assessment systems and virtual learning environments. He has published a number of lectures and articles in learned journals. 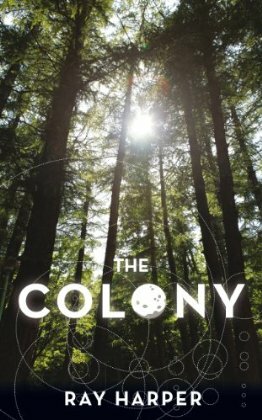 The story is mostly about establishing the colony from the perspective of a man that comes to the experience from outside. Lindstrom is an Environmental Assessor and he stays on after they approved the planet. The colonists trained for this and they are already a team. They struggle with technology and the alien environment and sometimes with themselves. That part is quite entertaining and could have been enough for a book, but there is more to the planet. There are ancient guardians left there to protect it and its environment from outside change. Their interests start to clash with the interests of the colony before this book is over. The story is very much a YA narration but I had some problems with the flow of the story. Some of the twists and turns seemed to lack foundation and just happened. 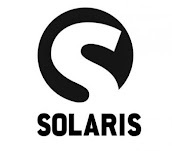 When it is at its best it reminds me a bit of Allen Stross' Coyote novels, but it is uneven and the abrupt ending in the middle of the 'conflict' with the aliens left me unfulfilled and without closure. I found many of the characters interesting and I could start to root for them a bit but it suffers very much from being half a book. As with way too many books there is no indication that this is the first book in a series. Come on! How hard is it to write 'first book in a series' or 'new series'? What kind of horse trading is that? (No offence to the horse traders intended, it is just a figure of speach). The Colony is Ray Harper's debut novel and it has some flaws but there is bits and pieces that are good. The whole thing could probably do with a good editor. I hope to see more of his ideas in the future because I for one would like to know what is going to happen next. It is the future. Earth is overpopulated and running out of food. Starvation is rife. Everywhere society is disintegrating, with wars and civil unrest. The need to find new worlds to colonise is paramount. A new planet is discovered, surveyed, found to be suitable, and the first wave of colonists arrive, joined by the survey scientist, Linstrom. Initially, he is resented as an outsider, especially by the colonists’ leader, Jon Williams, who sees him as a possible rival. The colony quickly expands, felling trees and planting crops, hunting and fishing and exploring the hinterland. The colonists also begin to use newly developed human-cloning techniques to rapidly expand the population. The Colony belongs in the classic tradition of science fiction grounded in real scientific and technological knowledge and expertise, but enriched with true story-telling art. It marks the debut of a new, exciting talent. I loved this book, as an independent book publishers it is a delight to know that such quality of writing exists in the world.